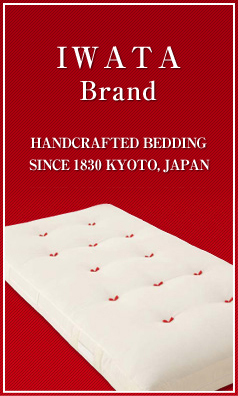 C-couch | Luxury bedding, down comforters, mattress, Iwata Co., Ltd. 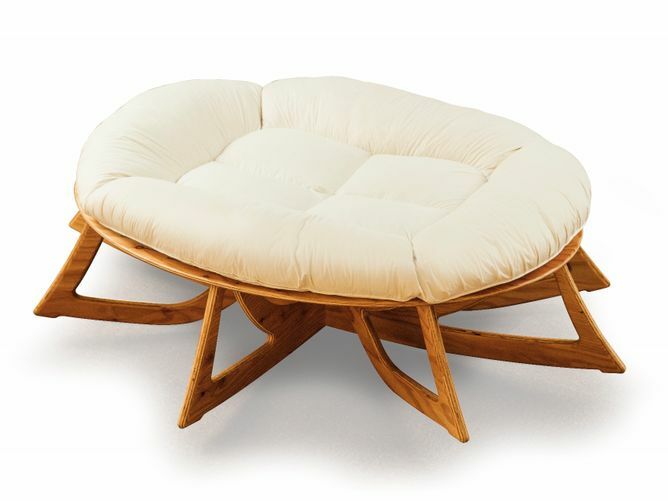 The “C-couch” was created by an idea inspired by the Wild Chimpanzee’s bed. 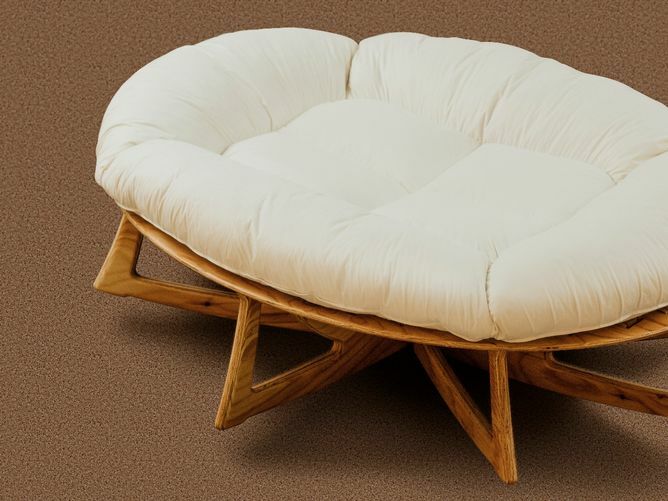 The cushion features a shallow oval bowl like a chimp’s treetop bed in the African jungle. A depression in the center holds you gently, and a raised edge surrounding the couch serves as a pillow for the head, legs and arms. The eight legs of the couch have curved shapes to allow the couch to rock in nearly all directions, and it promotes a comfortable feeling. 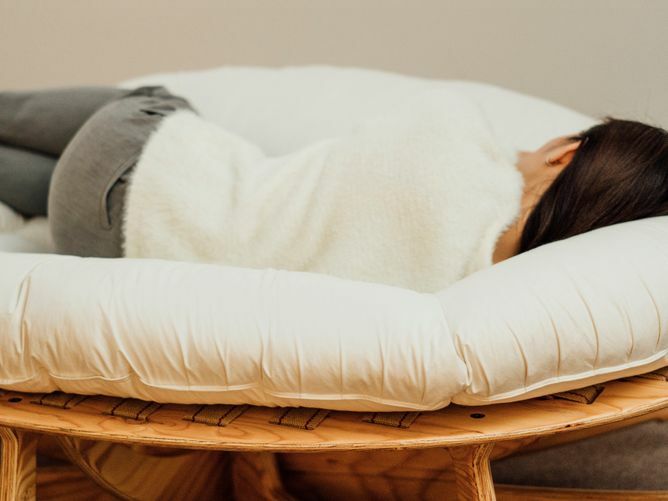 The cushion part consists of cotton fabric and feather as filling, which are natural materials, so that the air flows through smoothly and gives you the best condition for lying down. The biggest challenge was to simulate a person’s most comfortable feeling into a product. A researcher from Japan, Koichiro Zamma, who studies wild chimpanzees in Tanzania experienced the best feeling ever when he laid down on a chimp’s tree top bed. Wild chimpanzees make their own beds every evening. They climb a tree (16-65 feet high) and bend branches to make the base, spread leaves on top of it to give cushion. Each chimpanzee adjusts the cushion/tension to provide the best comfort for the night. 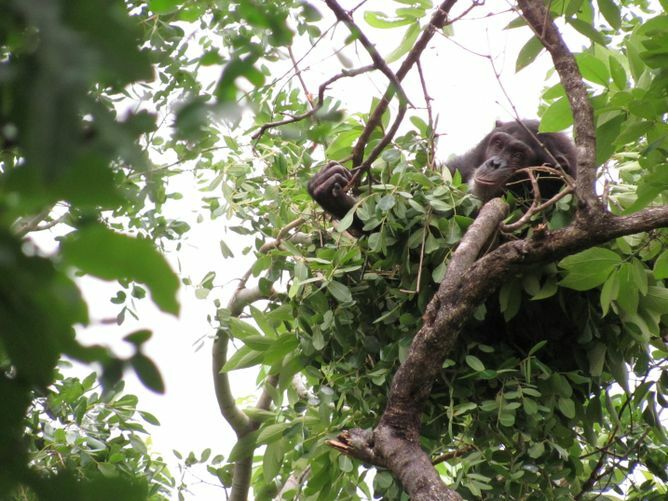 Zamma was the only person who experienced this feeling in the project team and to reflect his feeling and experiences into a product, we needed to repeat the processes – hearing, designing, making a prototype, testing by Zamma, modifying the design details – many times until Zamma experienced the same feel as the tree top chimp’s bed in the African nature. 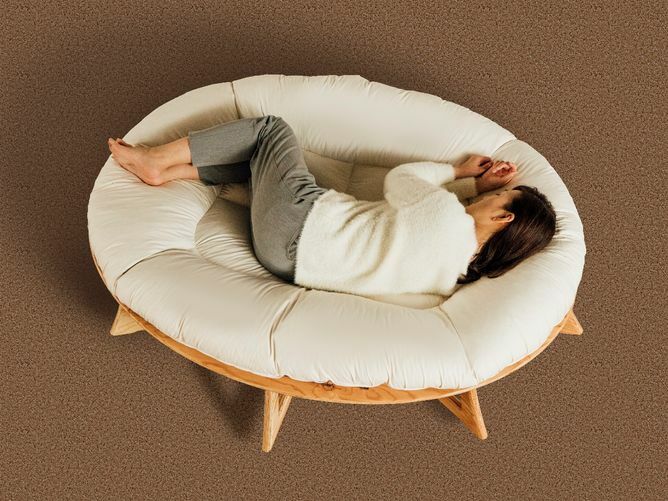 The C-couch rocks slightly in almost all directions when you reposition your body, as if you are laying down on the tree top bed. We figured out the size of the bed by making a model of a chimpanzee’s dimensions versus his/her bed and analyzed the swing width of the tree top chimpanzee beds. The couch cushion is supported by fabric belts, so that each user can adjust tension providing the best level of individual comfort. Also, making the product visually attractive was a challenge. We believe it is important that this couch should be enjoyable and that it fit in to the user’s everyday life. When we designed the new product, we brainstormed to visualize the impact or uniqueness that will first attract people’s attention. 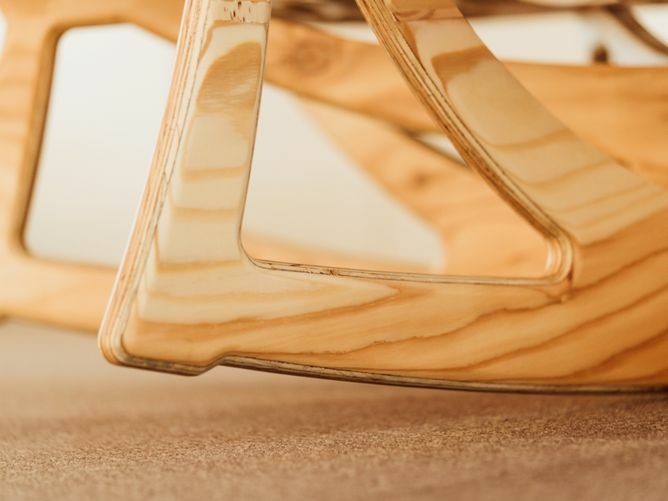 As a matter of fact, the C-couch is an oval shaped couch, and has eight legs and rocks, which catches people’s eyes, however it was not something we designed this way deliberately. We opened our minds, and simply learned from nature and listened to the feeling, and as a result, the product design was completed. You lay down on the C-couch and release all your muscle tension, you feel as if you are on a tree top chimpanzee bed in African nature and can relax. The first expression when people lay down on this couch is to relax and smile. We have conducted test marketing in Japan and have received positive and encouraging feedback. Some of users found the best comfort of sleep through the entire night. Some say that the sleep quality has been improved, and their shoulder pain or back pain were reduced. Others enjoy taking a nap during the day. These days, some Japanese IT companies set up a refreshing room in their office and placed this couch for their employees to enjoy. We received additional feedback that as a result of employees resting on the couch and taking a nap, they have been able to communicate better and their work performance has improved. We have confidence that this couch is the perfect item for relaxation and for a power nap. 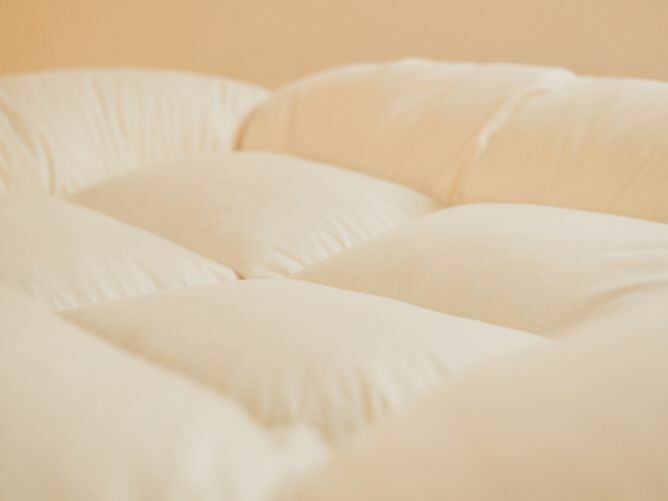 The manufacturer IWATA Inc. which is a mid-size company in Kyoto, has been making high-quality comforters for nearly 190 years. 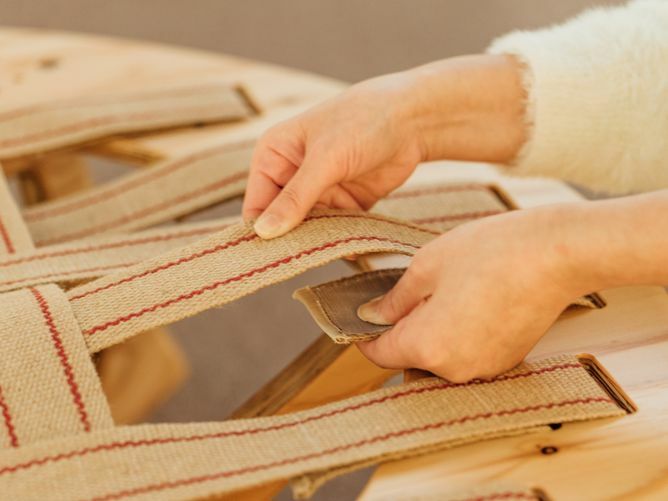 IWATA sticks to using natural materials for their products. 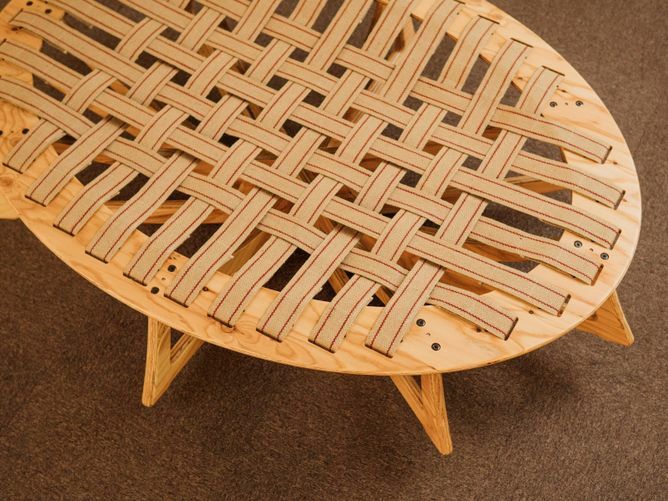 The C-couch was also conceived by using their knowledge of natural materials and skills for bedding items. As a result of it’s uniqueness of concept of design, since the C-couch was introduced to the market, over 70 media outlets (TV and radio, newspapers, magazines) have highlighted the C-couch, Further, IWATA has become even better known as an innovative bedding maker and their reputation has grown as a company which learns and is inspired by nature. The C-couch is the proud recipient of the Kyoto Design Award 2017 and the Good Design Award 2017. In modern society, we see people feeling overwhelmed because of the pressures that they face on a daily basis. Constantly balancing stress from work, trying to make everyone happy… Sometimes people feel restless or cannot sleep at night. Lack of rest causes many problems, such as headache, fatigue, lack of concentration, depression, and even increasing the risk of premature death – all which cause a great social and economic loss. According to research conducted by the nonprofit research institute Land Europe, the economic loss due to sleep deprivation in the USA may be as great as $411 billion annually. Setting up this couch somewhere quiet in your office or at home and laying down for just 15 minutes and taking a power nap, by meditating, by doing nothing but relaxing will improve ones life. In urbanized, modern life, there is not much opportunity to experience nature. By lying down on the C-couch, each person is able to re-think and re-energize his/her own feelings. “C-couch”was selected as a featured Finalist of the International Design Excellence Awards2018 and registered in “IDEA Gallery”. including commercial products,entertainment,home goods,social impact designs and student designs.